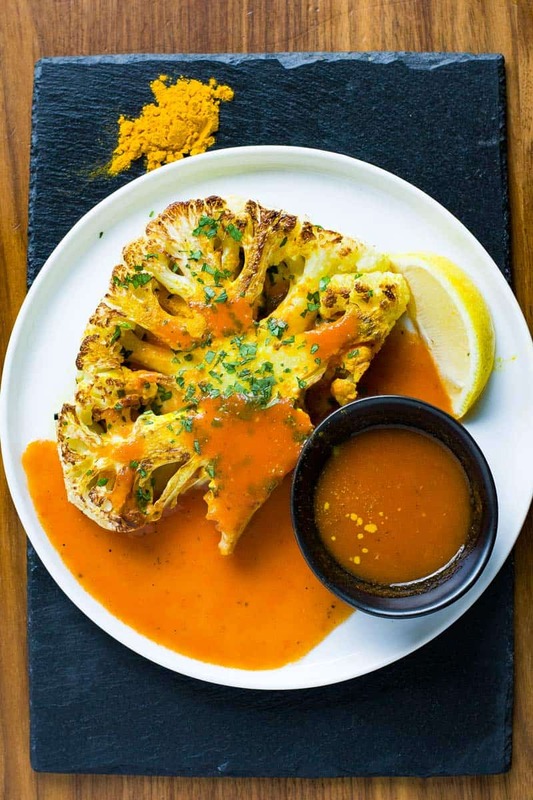 A perfect char on a roasted cauliflower steak with a light turmeric dusting and our new Wanderspice Sauce. Some of Eddie’s recipes take days to perfect, getting the ratios just right, making sure spices blend harmoniously and honoring the foundations of some of our more authentic dishes. But often enough, he’ll pull something out of the fridge, in this case, a head of cauliflower and 20 minutes later we’re eating a fantastic dish. 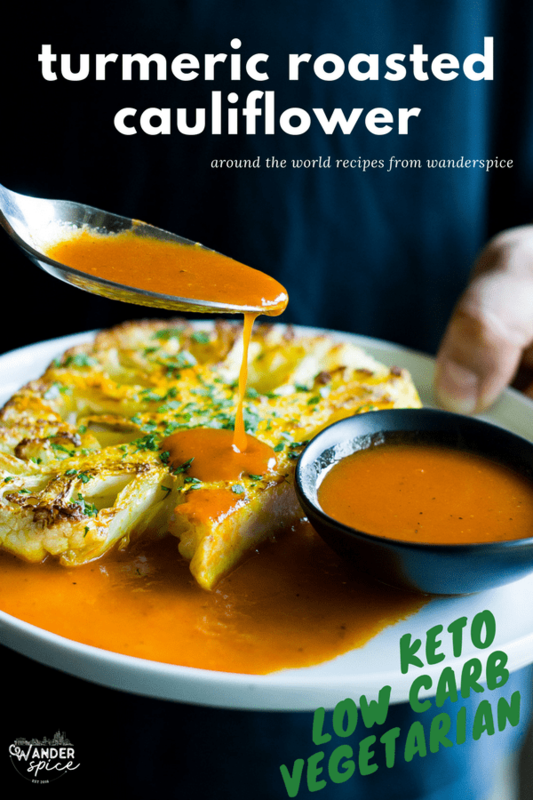 He roasted cauliflower steaks until they were perfectly charred, and served with a dusting of turmeric and a side of a red sauce he concocted just a few days before. I call it Wanderspice Sauce. It’s tangy and warm, but not spicy or hot, with a vinegary undertone. Tomato-based, the sauce has a velvety texture, while still being light enough for dipping. 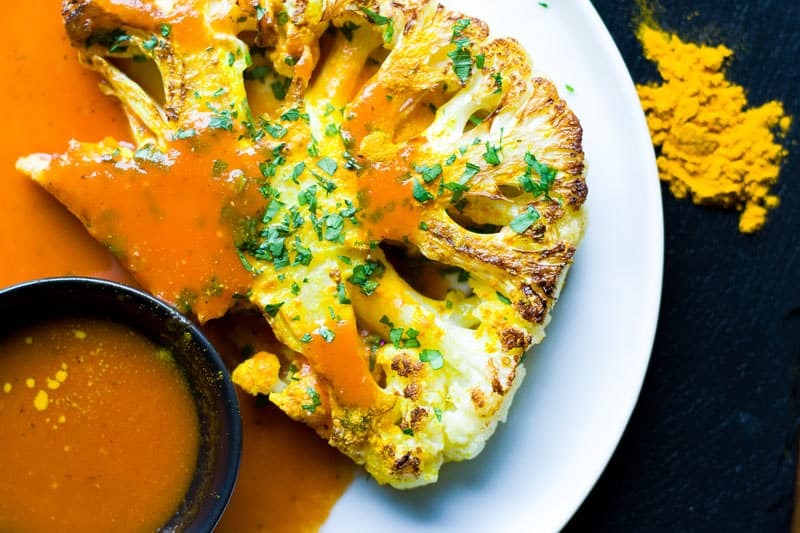 I don’t know what sorcery is behind the sauce that makes it taste just as good, but subtly different, with the turmeric covered cauliflower. 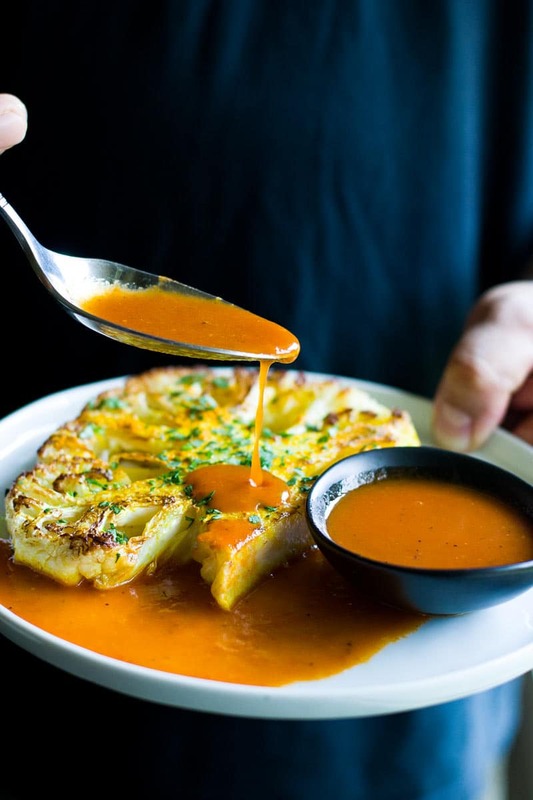 As for the roasted cauliflower itself, it’s the right kind of tender – not too soft, but still firm enough to require a bit of cutting. The light char adds a bit of smokiness and plays well with the turmeric. But of course, I mostly dipped every chuck into the Wanderspice Sauce… then licked the fork. And that little black bowl, too. To make this side dish/appetizer a meal, add some grilled shrimp or crumbled chorizo on top. 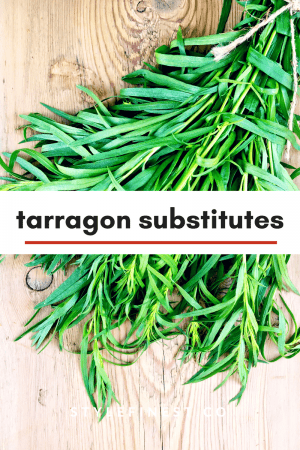 You can use a variety of other vegetables instead. 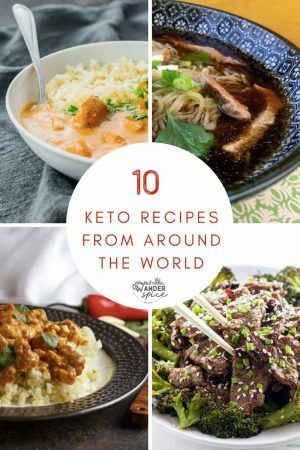 Try it with potatoes, squash, or eggplant. Makes a nice accompaniment to our Thai BBQ Ribs with Apple Lavender Slaw. Be sure your cauliflower is clean and free of dirt. Using a sharp bread knife or offset serrated knife, cut cauliflower lengthwise two inches thick. Be sure to leave florets attached to the main stem. Set oven to 400 degrees. Using a large heavy bottom saute pan, bring to high heat, smoking hot and carefully place cauliflower steaks two at a time. After two minutes drizzle 1/4 cup avocado oil over the top of cauliflower. Place on baking sheet and roast in the oven until golden brown (five to ten minutes depending on oven). Remove from oven and sprinkle ground turmeric, Kosher salt, and juice of two lemons. Garnish with chopped parsley. 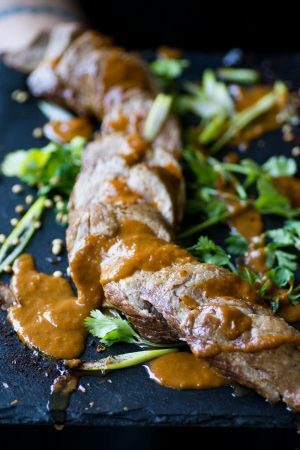 Serve two steaks with Wanderspice Sauce, per person. Using a wooden spoon stir until tomatoes have broken down to a sauce. Strain through a china cap or cheesecloth and serve hot.